No this is not a drill. The internet is going to shut down in less than 12 hours for a DNS encryption update by ICANN. However, you don’t need to panic as you won’t lose access to your precious cat videos. The Internet Corporation of Assigned Names and Numbers (ICANN) is planning to update the cryptographic key that helps protect the Domain Name System (DNS). For those who don’t know, DNS is like a directory which records all the domains and the owner of those domains. Seeing the ever-increasing security attacks and breaches ICANN decided to update the encryption keys for the DNS addresses. This means that when the update is taking place on a certain website, it won’t be accessible to the users. This also implies that the internet won’t be completely down as the update will happen in batches. The update has been scheduled strategically to happen over the weekend so it won’t disturb the day-to-day work of the organizations that rely on the internet. However, this also means that there’s a fair chance that you won’t be able to binge watch your favorite show on Netflix over the week. ICANN has already run several tests and has confirmed that only 1% of the world will experience issues but the number still comes to a little over 36 million users. That said if you’re one of the unlucky 1% of the users, then you don’t need to panic. 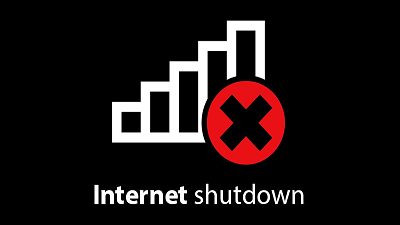 The shutdown is temporary and requires no extra steps from the users. The best you can do is restart your modem or double check your DNS to make sure your DNS address is updated by your Internet Service Provider (ISP). For more detail visit OUR FORUM.